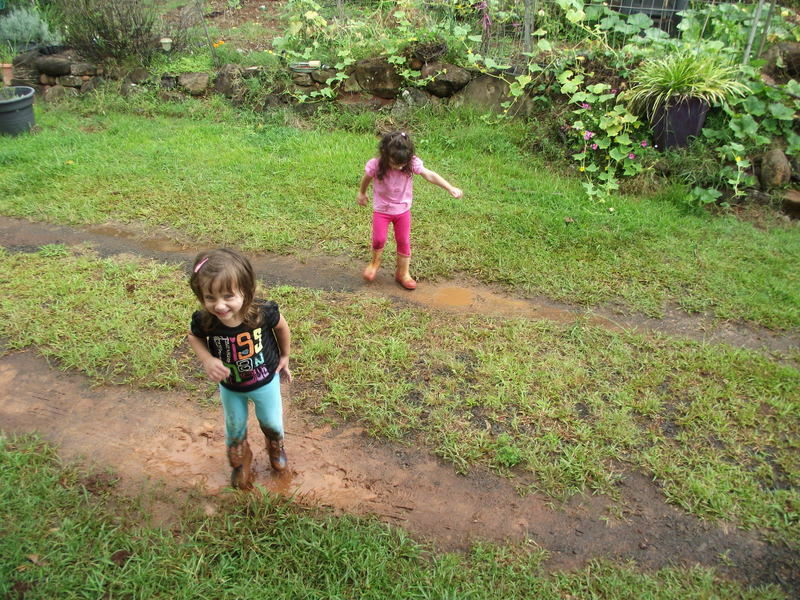 Outdoor rainy day play provides many learning opportunities for children. 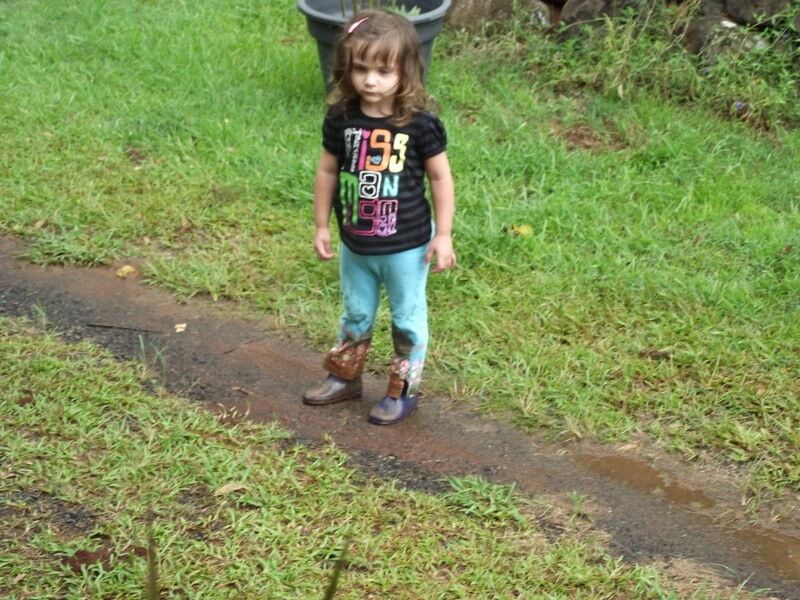 Just because it’s raining or a little cold outdoors doesn’t mean educators and parents need to keep children inside. A rainy day reaches out to our senses in different ways. The air is crisper, dirt turns to messy mud, the sandpit fills with wet sand perfect for building and cooking with, droplets of water collect on leaves and flowers, we hear rain dripping and drumming on different surfaces, climbing becomes more challenging as surfaces become wet and slippery introducing elements of risky play and the living things outdoors behave in different ways or come out of hiding because of the rain. If we first plan and then put a little effort into creating an outdoor area that invites playful learning through a broad range of experiences, materials and sensory spaces, the outdoor environment will reward that hard work by ensuring children, educators and families can enjoy outdoor play in many varying types of weather at different times of the year. 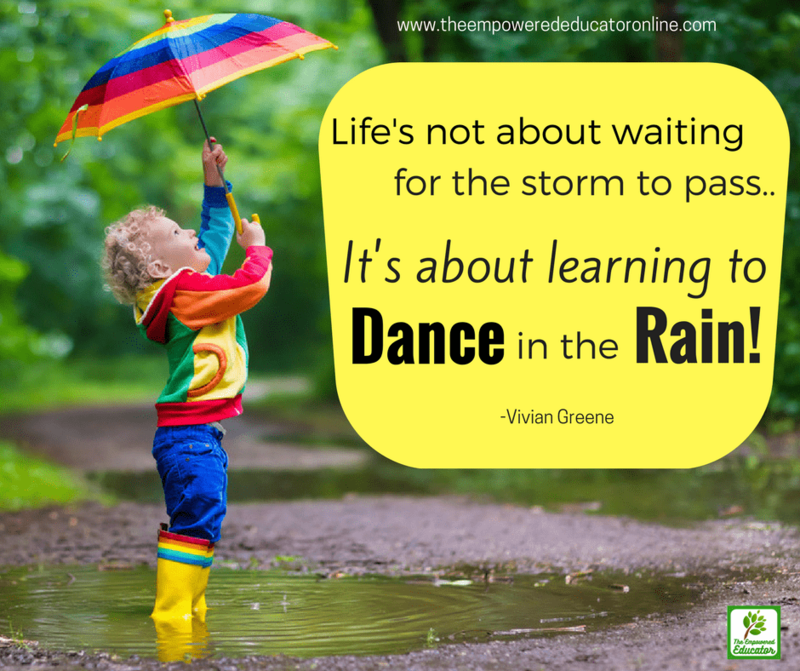 This includes rainy day play and learning experiences. 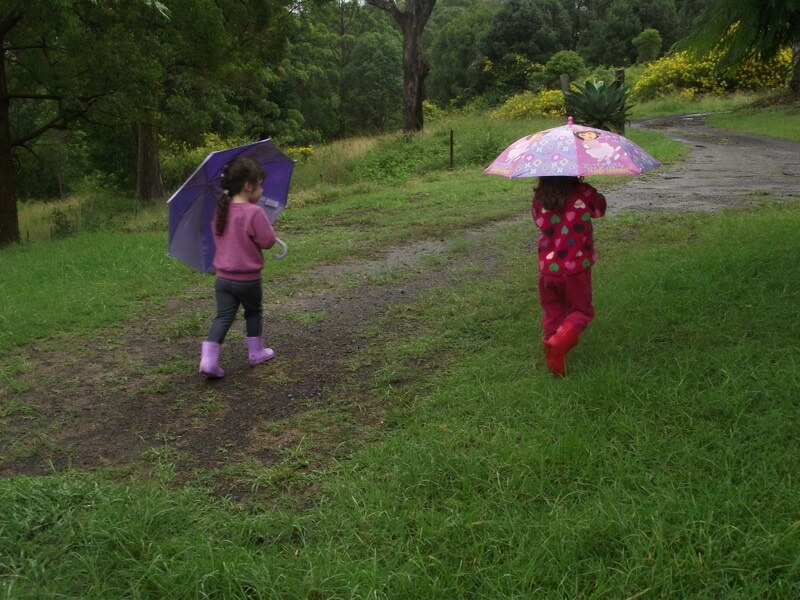 But what about the excuses we often hear from adults as a reason NOT to go outdoors when it is raining? I have you covered! 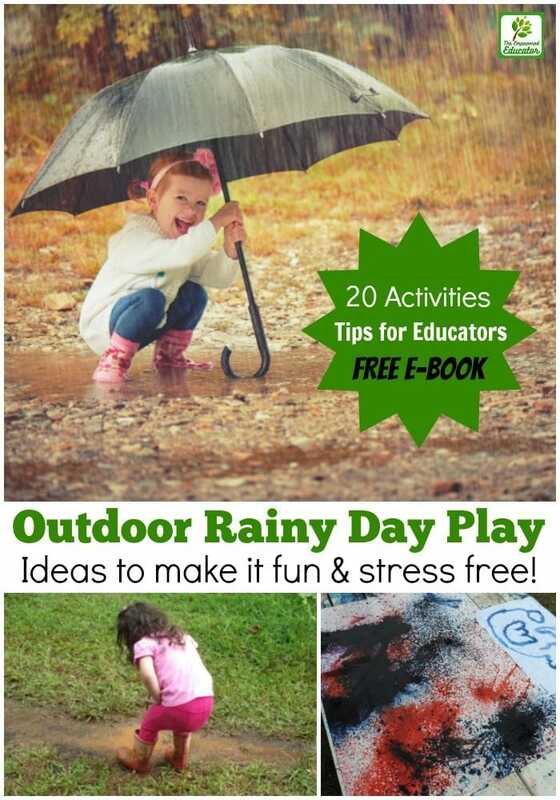 Try a few of the strategies from the list below to help get other educators, parents and carers to see how the benefits of outdoor rainy day play far outweigh the usual excuses and why it is beneficial to learning and development to support your outdoor play philosophy. You can also download a mini guide packed with ideas to help you get started! 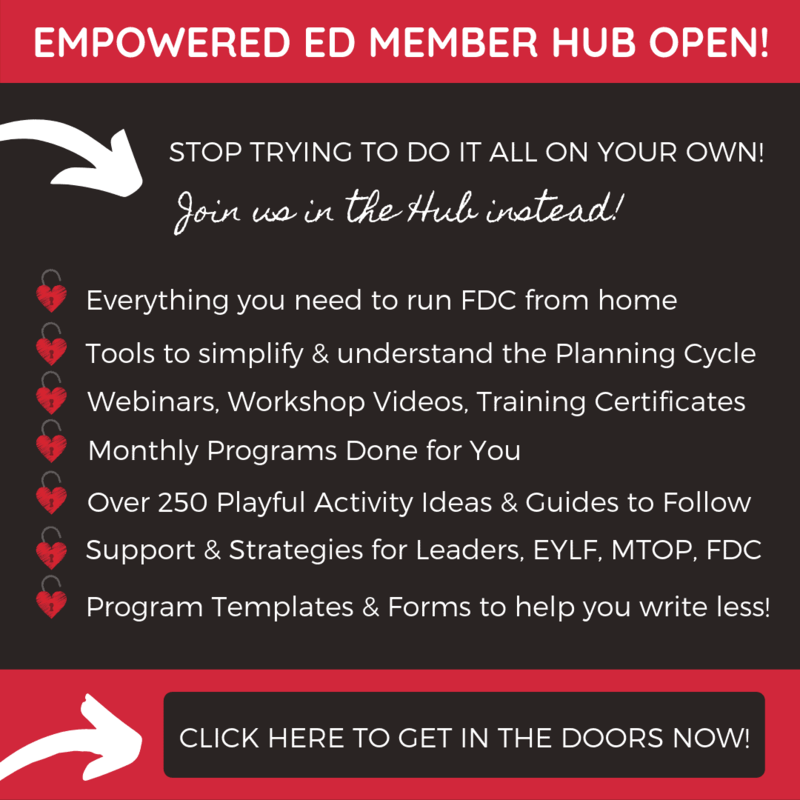 Click on the image below and tell me where to send your free resource. 1. Plan ahead! 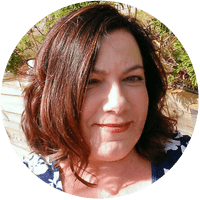 First decide if this is something you want to commit to then think about what steps you need to take to make it easier to embed and be recognised as a common practice rather than unusual. 2. 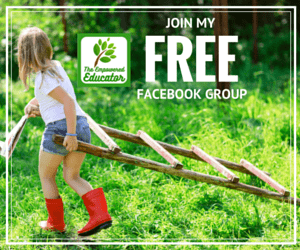 Take steps to clearly outline and communicate your outdoor play policy and guidelines and ensure all early childhood educators understand what is expected and why. 3. 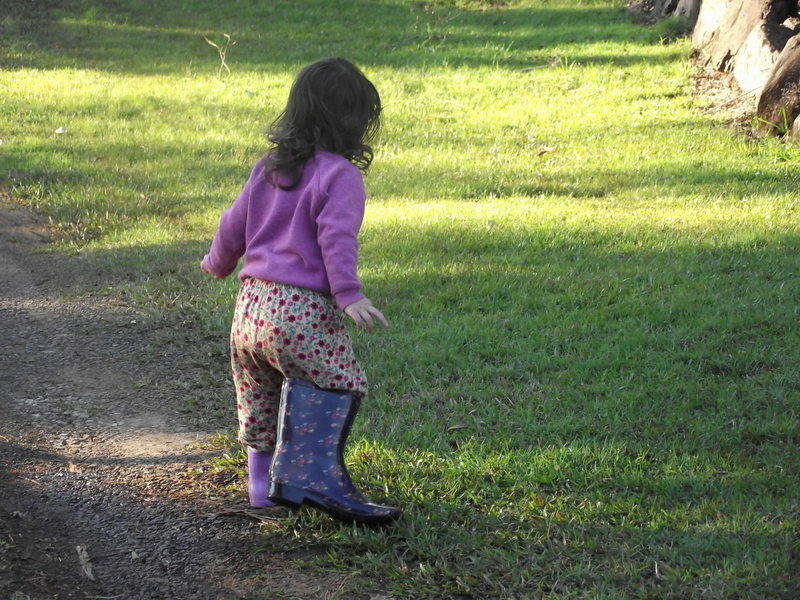 Keep spare sets of gumboots and raincoats or jackets at home or in your early learning service so you don’t need to rely on parents to provide them. 4. If you live in an area where it gets quite cold in wet weather invest in a few of the many waterproof outdoor play or puddle suits available for children now. 5. Ask parents and carers to pack 2 spare sets of clothes in the bag each day so they always have dry clothes to change into after rainy play session. 6. Communicate and collaborate with families and carers . For my Family Day Care service I always included a section in my parent handbook and an additional letter upon enrolment that explained to parents my philosophy on allowing children to experience outdoor play in all kinds of weather, my preference for them to be allowed to get messy or muddy and the need for them to be wearing ‘play clothes’ that were ok to get dirty. I went into detail about this part of my program with new families enquiring about my service because some are not comfortable with this philosophy and that is perfectly ok, but they were not a match for what I was offering and when you are clear right from the start with expectations it avoids many dramas down the track. So my advice is to communicate your outdoor play philosophy and practice clearly to all parents and carers before they enrol! 7. 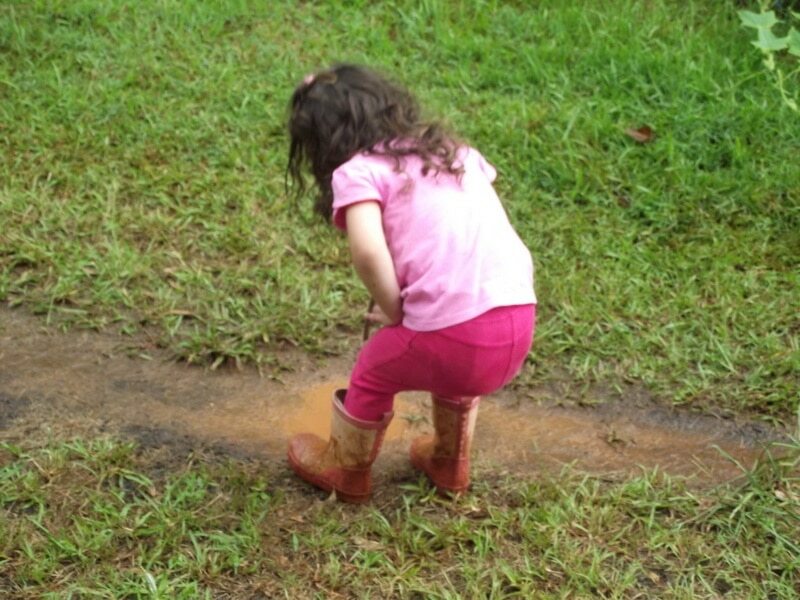 Keep a list of rainy day outdoor play ideas to draw on when the weather sends a wet day your way – spontaneous play is often the most rewarding so just go with the flow and write it on your program later! 8. Remember that rain is just water. 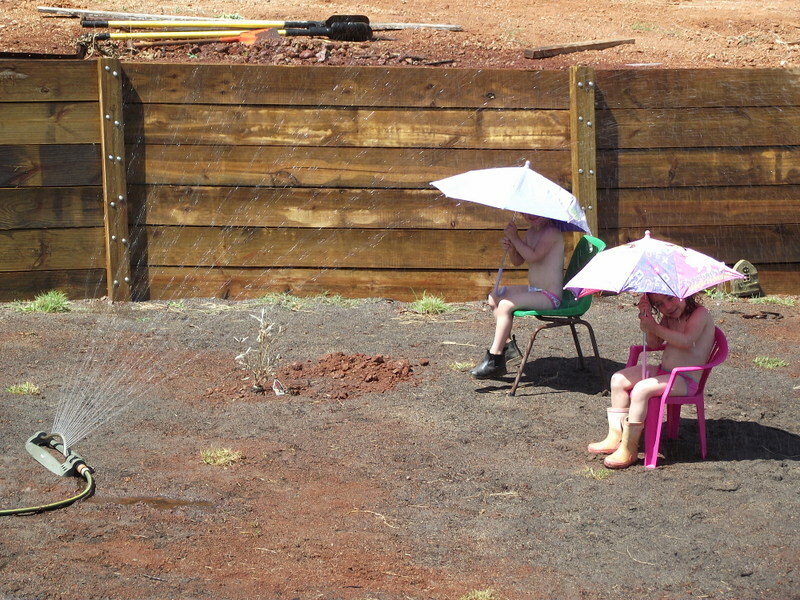 Yes the children will get wet but they will also quickly dry! Waterproof jackets and raincoats will usually keep them warm and well protected anyway. Yes they might get dirty but they will wash clean again! 9. 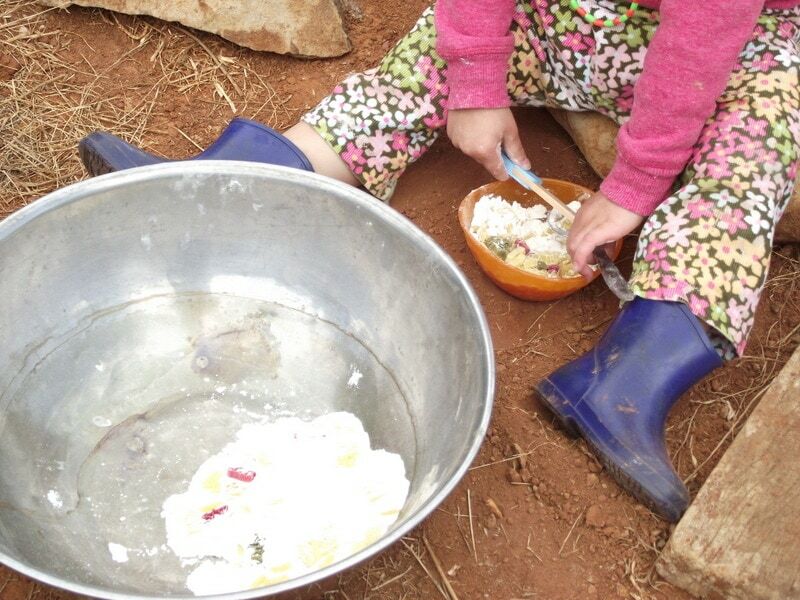 Put in place a system of stripping off clothes before going indoors, washing hands and feet in buckets if muddy then changing into spare clothes that have already been laid out. 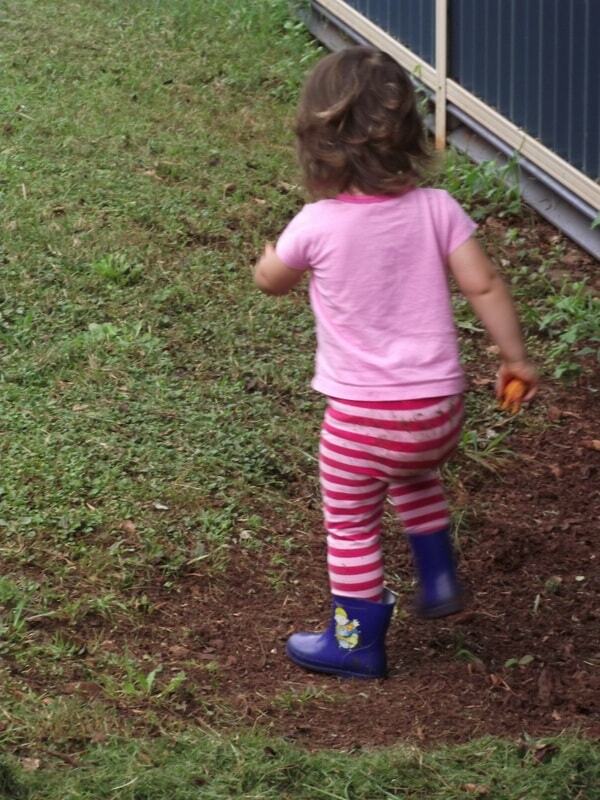 I do this step before we even think of coming back inside, putting a little extra effort into this sort of preparation can really save you a whole lot of stress – especially when dealing with busy and tired toddlers! 10. 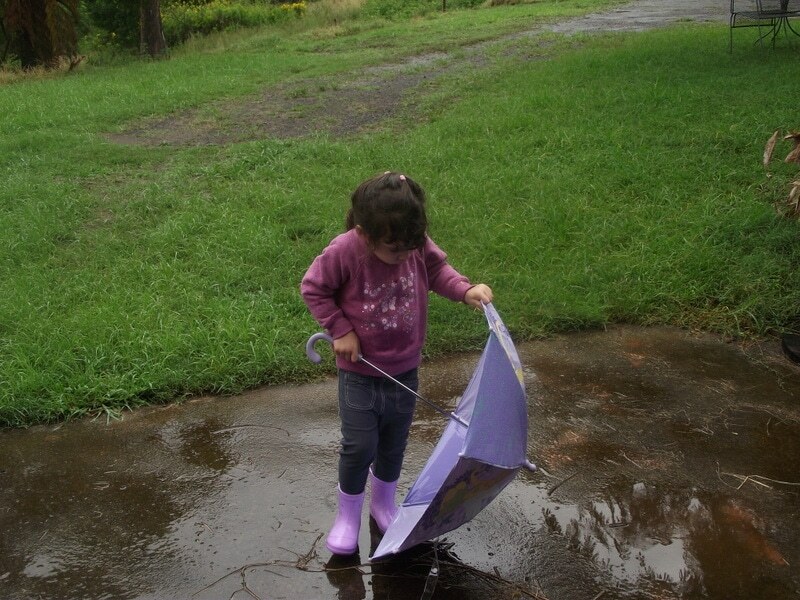 Obviously if the weather is dangerous with high winds, hail or very heavy rain that might scare younger children then of course you won’t go outside (it’s all about exercising balance and common sense!) but perhaps you could bring a little rainwater, hail or snow indoors to play with in different ways instead. We love to watch hail turn the green grass white as we don’t get snow in this part of Australia so it leads to many discussions! 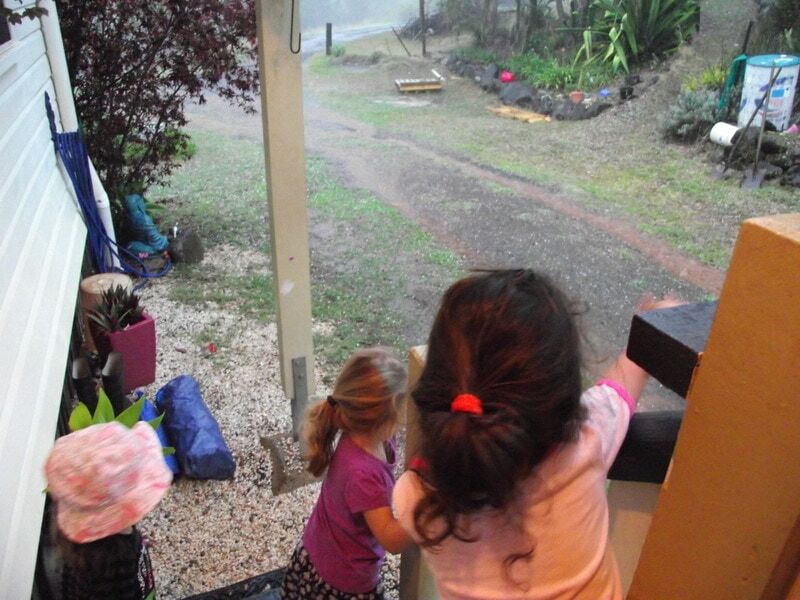 So now we have the excuses out of the way let’s create a rainy day play toolkit of ideas you can draw upon next time you face a rainy day – whether for home or the early learning environment. 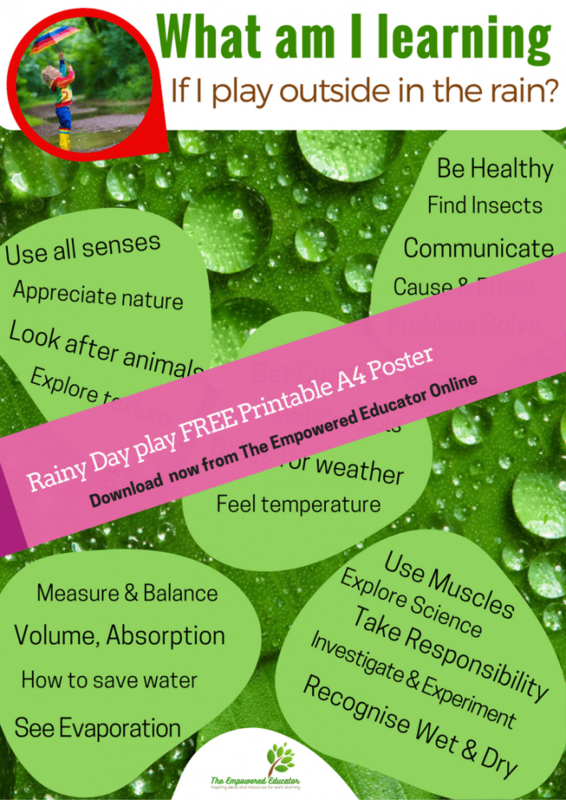 Choose a few of the following activity ideas and make sure to download my free mini guide so you can use the rainy day toolkit template and also print off a poster for families that will help you communicate the benefits of wet weather play for children. Just click the image below to tell me where to send your copy! 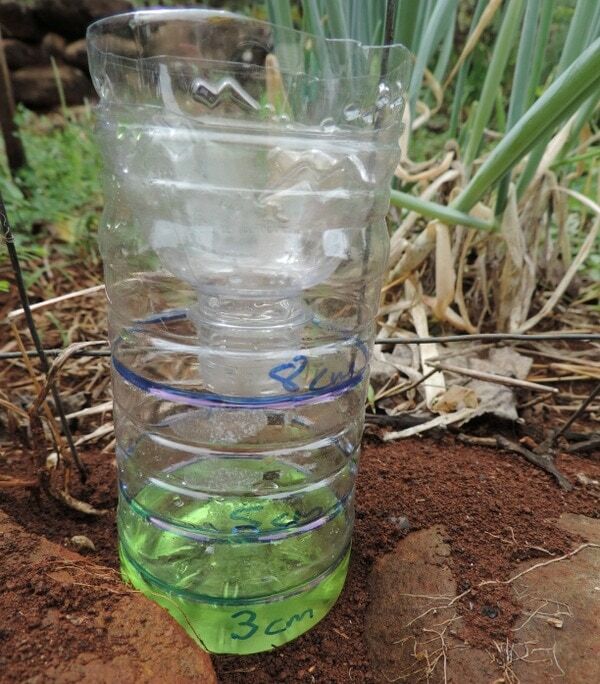 1.Choose some plastic drink containers (water bottles work well) from the recycle bin and make your own rain gauges to collect rainwater. Very simple process – I like to add a little edicol powder paint to the bottom of the bottles so that children can see the water level clearly for measuring. Simply cut the top of the bottle off 3/4 up then turn over and insert into open mouth of bottle to create a funnel. 2. 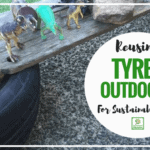 Add a basket or tub of guttering pieces, pipes, PVC connectors and other loose parts to have fun making waterways. Can you change the direction of the water? What will float on the water? 3. 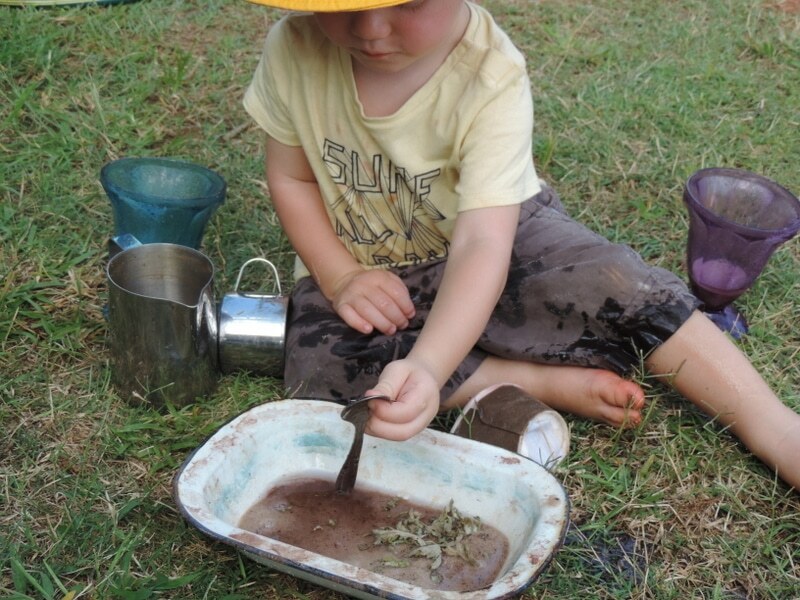 Explore texture, smells and colour mixing by painting with mud. 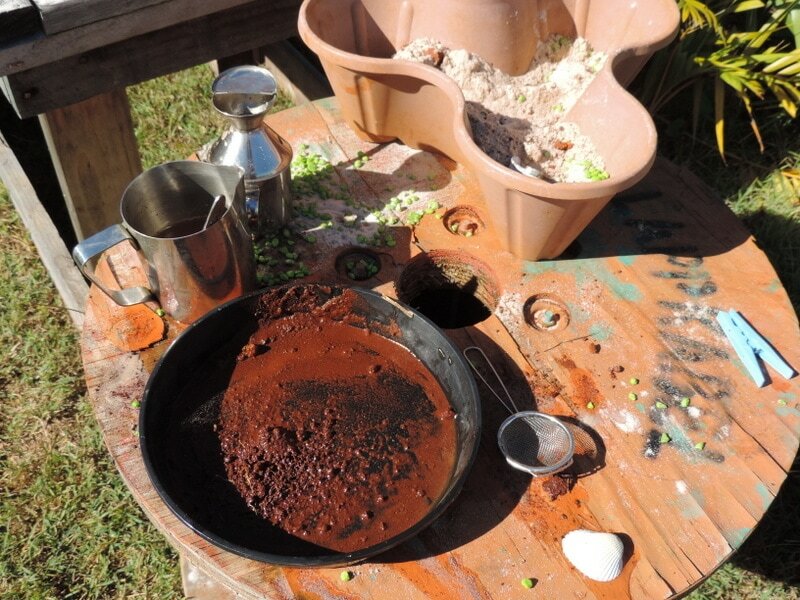 Ask everyone to help collect a cup of mud and pour into a big tub – if not still raining add a little water to thin the mud a little (a squirt of dishwashing detergent helps make it go further and spread more easily) then pass out spoons or sticks so everyone can help stir and mix. 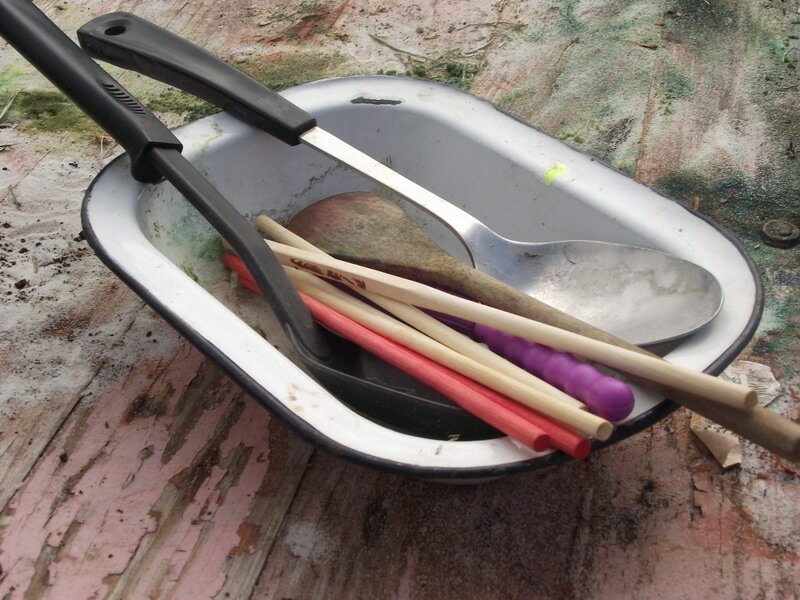 Use a variety of paint brushes like washing up brushes, dish mops, nail brushes, shaving brushes or just hands to paint paper, rocks or trees with the mud. 4. 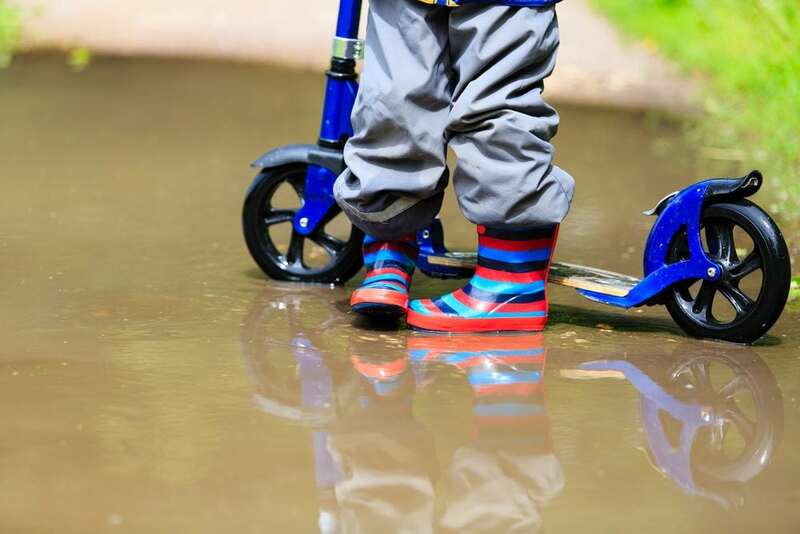 Provide access to large blocks, bricks, rocks and other loose parts so the children can build bridges and pathways across muddy puddles and create different versions of waterways and river systems. 5. Lay thick cardboard on tables, paths or just the ground. 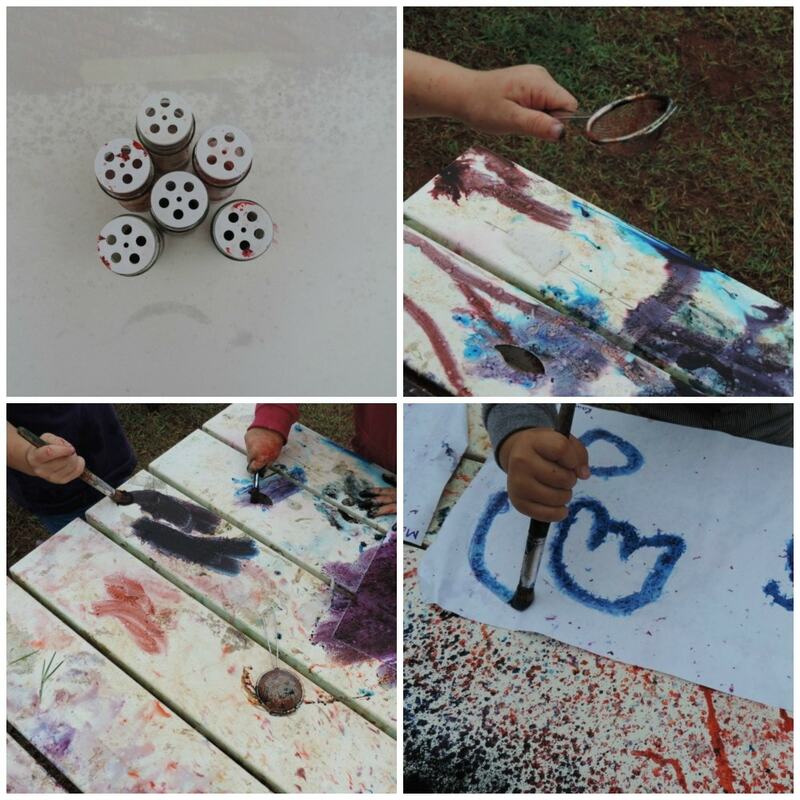 Give the children shakers with a little powder paint in them and stand back as they sprinkle onto the cardboard then watch as the rain drops make colourful artworks and patterns. Stand them against a wall for a different creative effect. See how we did this activity here. 6. 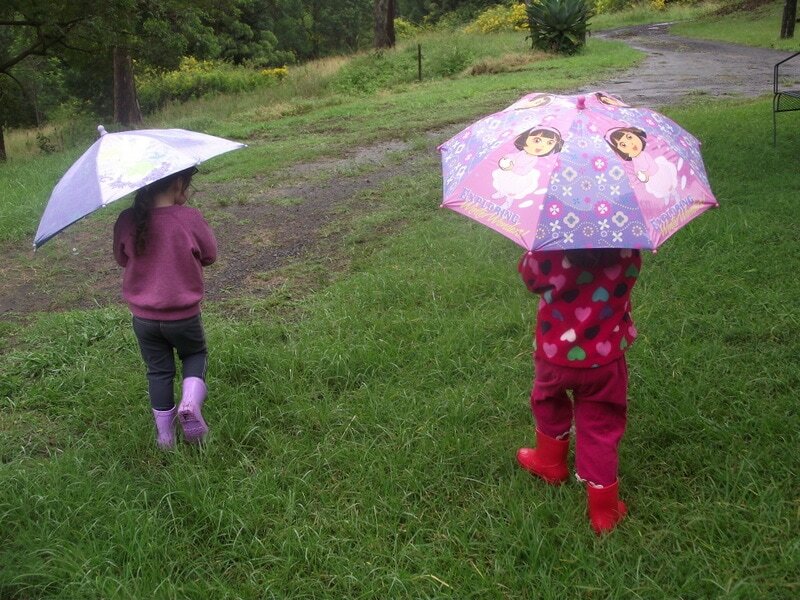 Pass out the baskets and raincoats and head off on a neighbourhood or outdoor area nature walk. What can you see? What can you collect? What can you smell? What can you hear? Use your phone to record sounds or help the children take photos. Work together afterwards to create a display, journal or book. 7. 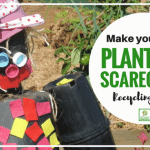 Gather some large cardboard pieces from the recycle bin, lay out on concrete or level ground then set up a simple bike pathway. 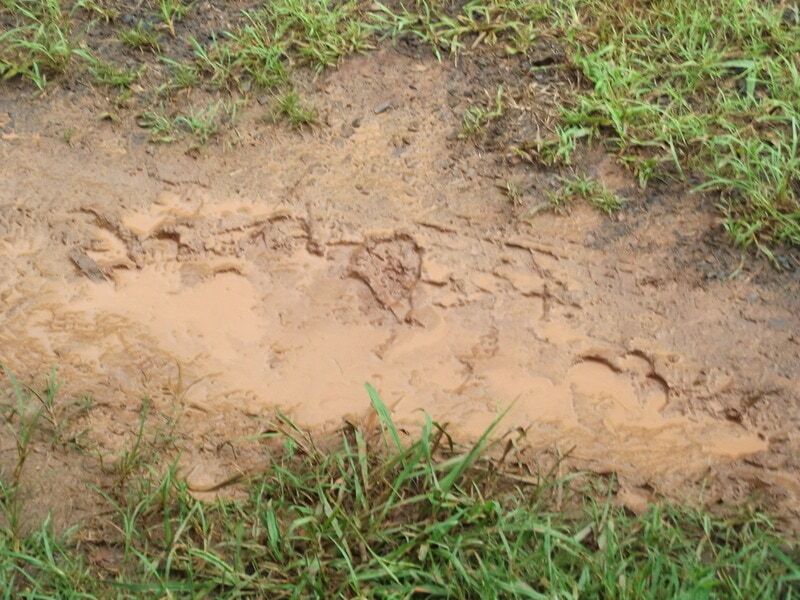 The children can ride through muddy puddles, wet paths or grass and then ride over the cardboard creating tire marks to compare and examine. 8. 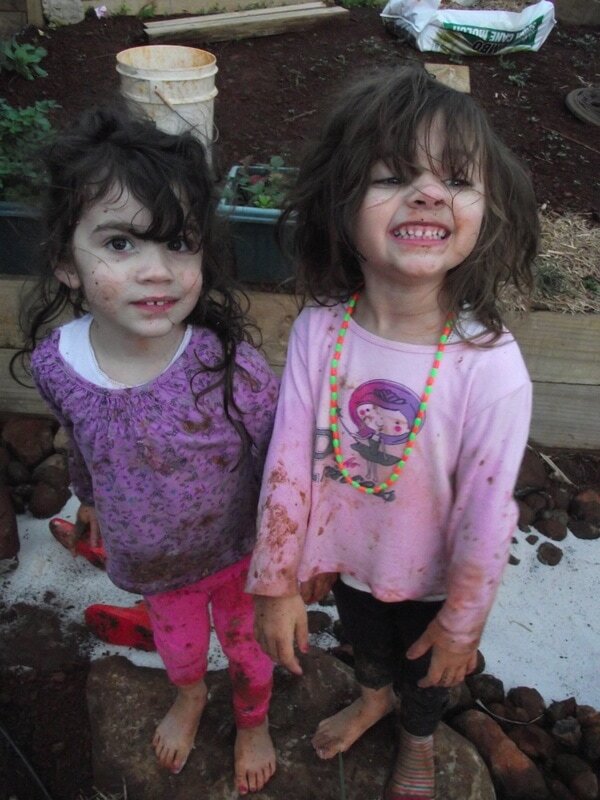 Place a few mirrors around the outdoor play space and talk about what happens when the rain drops land on the mirrors. What else do they see? 9. 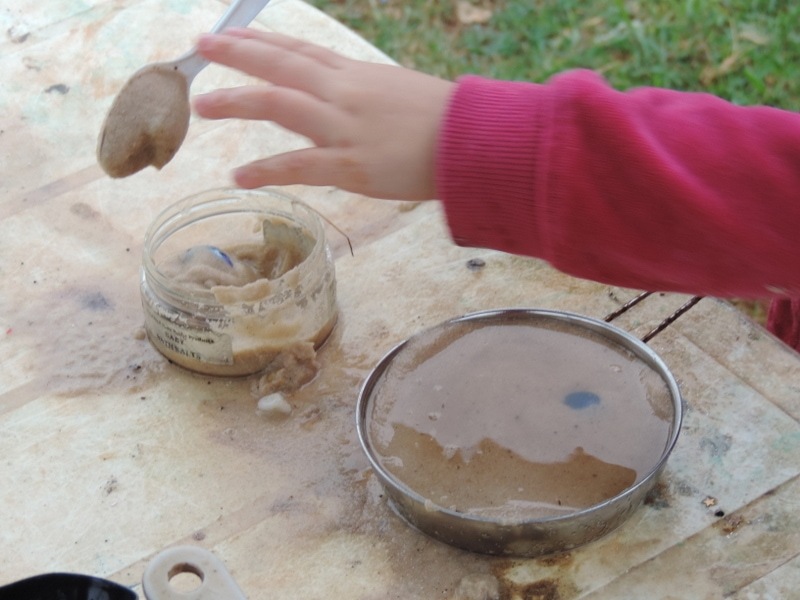 Invite opportunities for role play by adding different sized, shaped and textured sponges to the outdoor area on a rainy day along with a few buckets and squeegees and ask the children to become window cleaners while it rains on the windows! This also works well as a car and bike wash activity. 10. Place sheets of a dark coloured cardboard onto wet grass or sand and watch as the rain drops make patterns on the card. You can also turn the card over and press into the wet grass or sand then shake off and look at the patterns left. 11. Provide old tarps, plastic sheets, umbrellas, tents, play tunnels, wood, and other loose parts so the children can design and build a shelter, cubby or den to hide them from the rain. 12. Take out some newspaper and also some coloured crepe paper cut into smaller sheets. 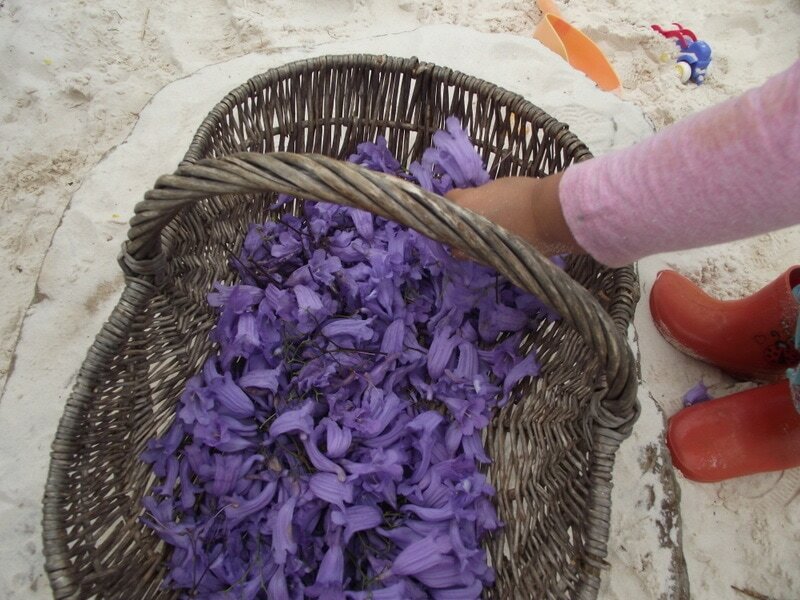 Ask the children to scrunch the papers up then wet in the rain and stamp onto white paper or card. The crepe paper will make colourful patterns while the newspaper makes fantastic darker smudges! 13. 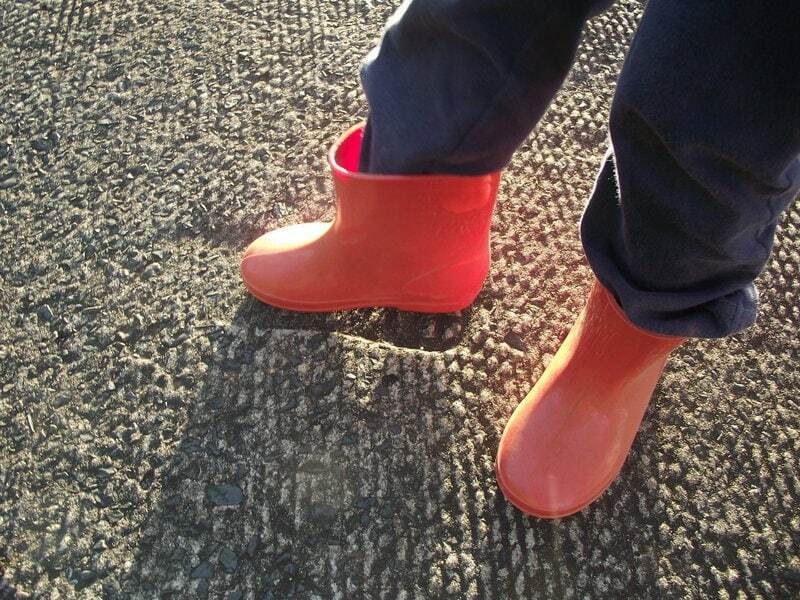 Sprinkle some powder paint or food colouring into puddles on pathways then use brooms to sweep the water and mix colours. 14. 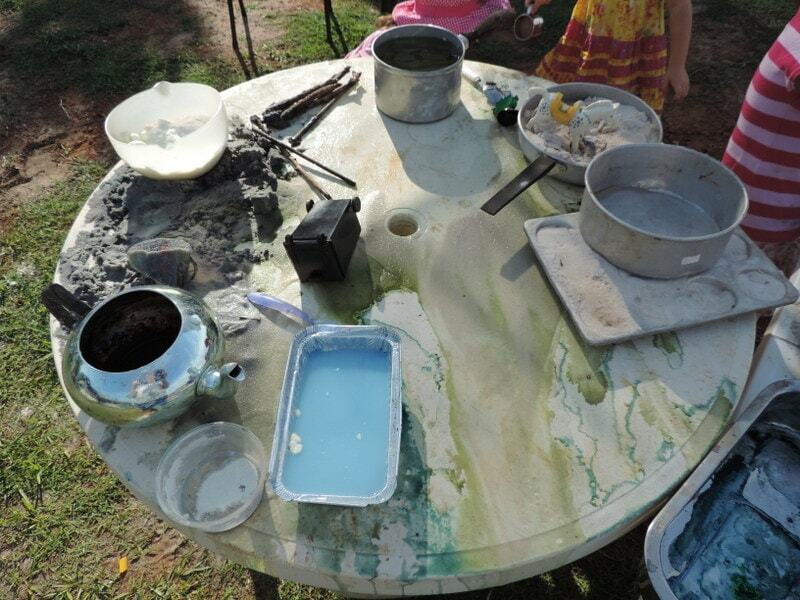 Add real life cooking tools and loose parts to the sand or mud kitchen and watch the creativity and sensory play emerge. When it’s raining there is so much more to create with! 15. 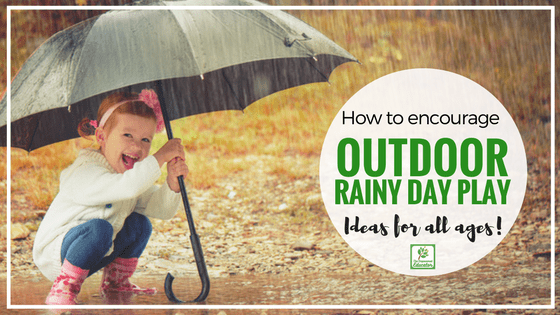 Toddlers will love this activity – take an assortment of saucepans,cake tins, plastic bowls and colanders (kmart have small ones which are perfect for little hands)outside with you into the rain. You will also need a tub of water (if not raining heavily) and some jugs for pouring the water. Encourage the children to build towers that balance with the saucepans and other items (You might need to help younger toddlers) and then pour the water over the top and watch it cascade down the tower like a waterfall. Does it knock it over or have they balanced everything just right? You could add a little edicol colour to the water if you wanted to add to the play. For older children this is also a fantastic activity to explore those engineering, basic maths, problem solving, imagination and construction skills as they stack items to form a balanced tower for the water to run over and down. Extend the play by adding PVC pipes, guttering or other loose parts. 16. Squirt a little bubble mix or detergent into a few puddles, hand out a few wire whisks and show children how to make bubbly puddles. 17. Run around filling buckets and bowls with rainwater then use brushes to paint the fences, walls and outdoor equipment – always a favourite, no colour needed! 18. 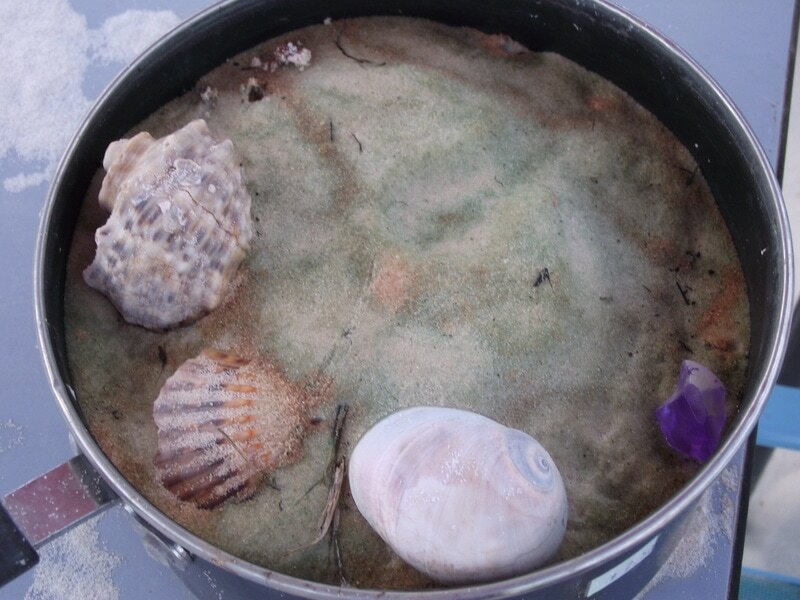 Fill a bucket with rainwater and add some sponges, dish scourers, soft balls or anything else similar that you have then lay a stick on the ground close to a large puddle. 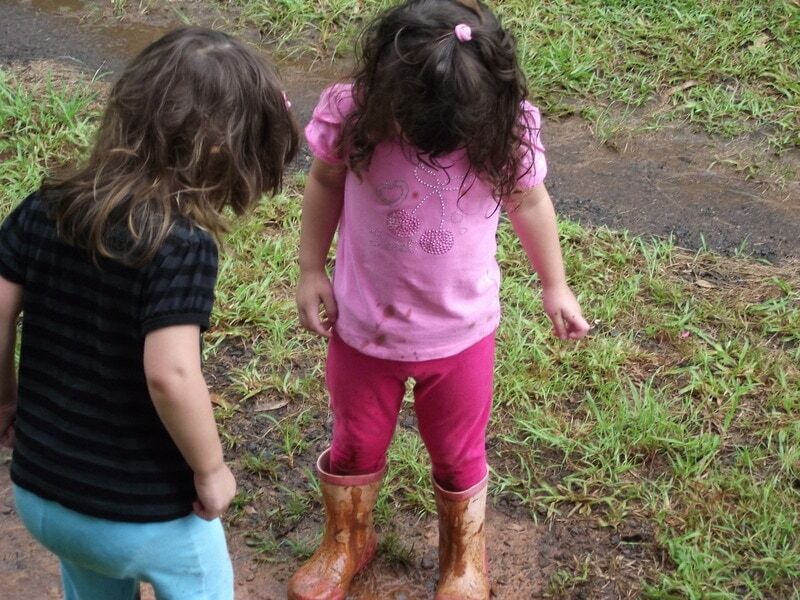 Children take turns standing behind the stick and trying to throw the sponges into the puddles. 19. 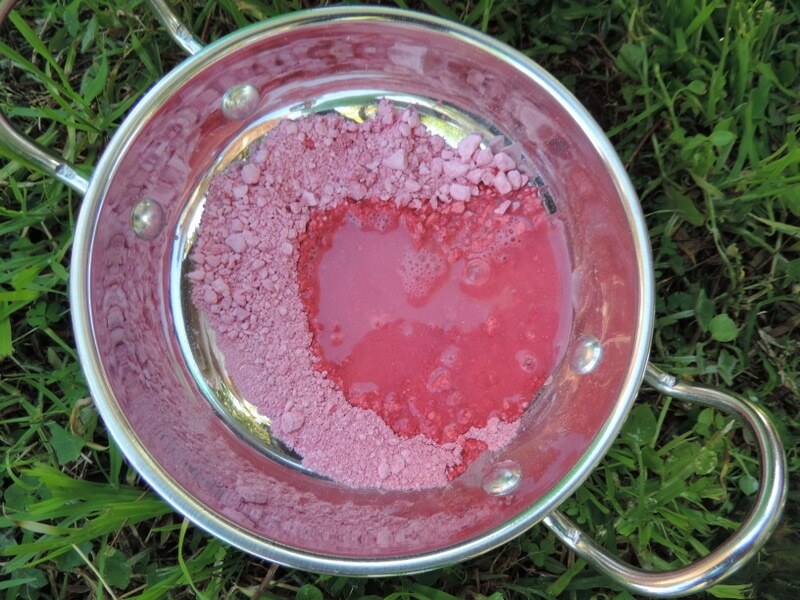 Older children can use hammers to crush coloured chalk and then soak in the rainwater to create chalk paint. 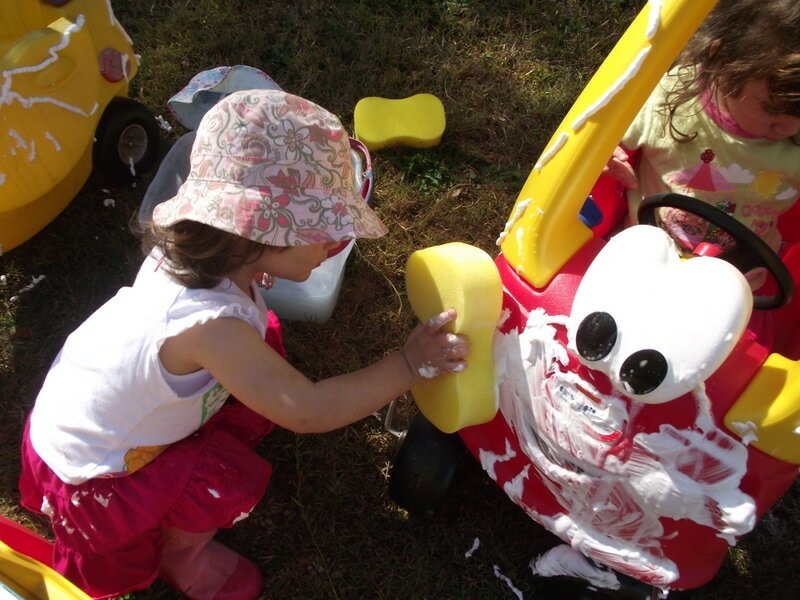 Race to paint pictures around the yard equipment and walls before the rain washes them off! 20. Hand out notepads, pens and pencils to older children and ask them to design and think about ways they could collect rainwater and then reuse it. They can then get creative drawing a poster to show how their invention will work. 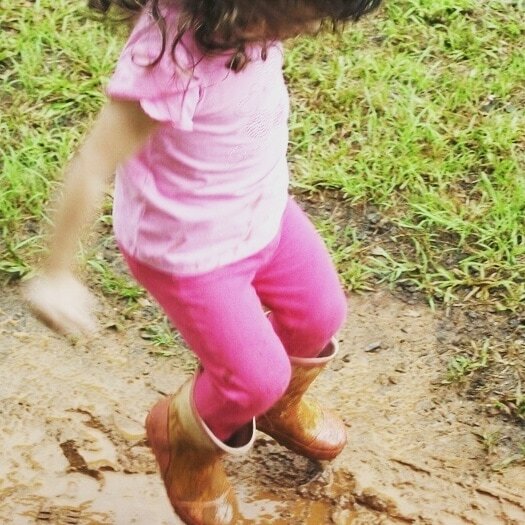 And of course when it comes to fun don’t forget the easiest activity to enjoy on a rainy day – jumping in muddy puddles…or over…or around! 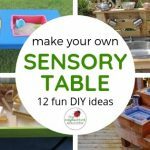 I hope the activities listed above help you to easily fill that outdoor rainy day play toolkit no matter what age the child! 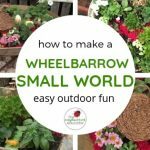 If you are still a little hesitant why not start with coming out to play soon after the rain has passed as it can be just as much fun and you can still try many of the ideas above. 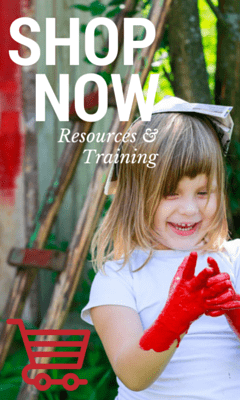 Download a free PDF Mini Guide outlining the top tips from this article along with a bonus A4 poster and rainy day activity planner for your resource and printable collection by clicking or tapping below. And don’t give up if you haven’t seen rain for awhile – there is always a use for an umbrella and boots while you are waiting!